It is by design that Katniss was rescued from the arena in the cruel and haunting Quarter Quell, and it is by design that she has long been part of the revolution without knowing it. District 13 has come out of the shadows and is plotting to overthrow the Capitol. Everyone, it seems, has had a hand in the carefully laid plains - except Katniss. The success of the rebellion hinges on Katniss's willingness to be a pawn, to accept responsibility for countless lives, and to change the course of the future of Panem. To do this, she must put aside her feelings of anger and distrust. She must become the rebels' Mockingjay - no matter what the personal cost. 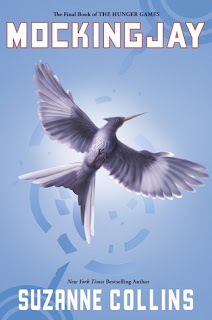 This is the final book of the amazing Hunger Games series, and I was very disappointed to see it come to an end. 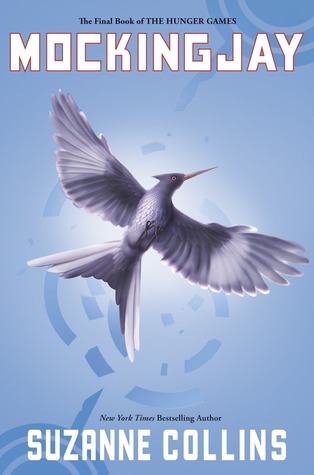 Suzanne Collins wrote a great ending for Mockinjay, and I did not feel like it was an open ending either, and I was very glad that didn't happen. This book is based entirely on the revolution. They are all in District 13, going against the Capitol. Things were so intense and awesome. The plans and strategies were planned out so well, everything felt real. I feel like Katniss suffered a lot in this book. The absence of Peeta, and other situations were very hard for her. Even though there were many moments that made me smile because they were finally going to get their freedom, I felt very sad at others. Suzanne broke my heart in this book! Many things happened, good things and bad things, and I didn't know wether I should smile or just cry with my pillow. 4 music notes - it was great! The ending wasn't exactly what I was hoping for either but it still a brilliant book! Glad you enjoyed it, Farah. Awesome review!